To design a quasi-automated three-dimensional reconstruction method of the spine from biplanar X-rays as the daily used method in clinical routine is based on manual adjustments of a trained operator and the reconstruction time is more than 10 min per patient. The proposed method of 3D reconstruction of the spine (C3–L5) relies first on a new manual input strategy designed to fit clinicians’ skills. Then, a parametric model of the spine is computed using statistical inferences, image analysis techniques and fast manual rigid registration. 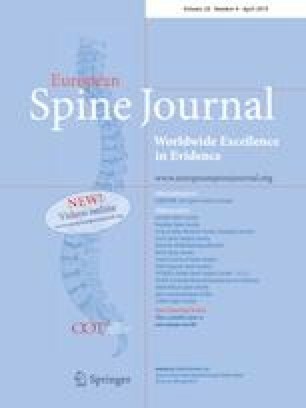 An agreement study with the clinically used method on a cohort of 57 adolescent scoliotic subjects has shown that both methods have similar performance on vertebral body position and axial rotation (null bias in both cases and standard deviation of signed differences of 1 mm and 3.5° around, respectively). In average, the solution could be computed in less than 5 min of operator time, even for severe scoliosis. The proposed method allows fast and accurate 3D reconstruction of the spine for wide clinical applications and represents a significant step towards full automatization of 3D reconstruction of the spine. Moreover, it is to the best of our knowledge the first method including also the cervical spine. The online version of this article ( https://doi.org/10.1007/s00586-018-5807-6) contains supplementary material, which is available to authorized users. The authors thank the ParisTech BiomecAM chair program, on subject-specific musculoskeletal modelling and in particular Société Générale and COVEA. The authors would also like to thank Aurélien Laville for having initiated this work.